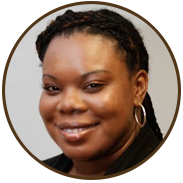 Attorney Alisa L. Parker is 2006 graduate of the Thomas M. Cooley Law School, and was admitted into the State Bar of Michigan in 2007. In 2008, Attorney Parker joined Legal Service of South Central Michigan (Battle Creek Office) as a Staff Attorney continuing her career path in public interest work. Her primary practice area is housing law. Prior to returning to Michigan, attorney Parker obtained a Bachelor of Arts in Political Science and English from Fisk University in Nashville, Tennessee. While there she served on the Student Government Association as an executive board member and as Chief Justice of the Judicial Council. Attorney Parker also served as a Legislative/Legal intern with the Tennessee Department of Human Services, under the direct supervision of the Commissioner and General Counsel of the Department. In 2011, Parker received her Master of Business Administration from Western Michigan University with a concentration in management. After earning her MBA, Attorney Parker found that it was important to give back to the local community that had helped her to become a success. She currently serves as a volunteer or member of the following organizations: State Bar of Michigan Representative Assembly Member (37th Circuit); The Judge Charles A. Pratt Bar Association (President); Calhoun County Bar Association (member); Black Arts and Cultural Center (Board Vice President); Ecumenical Senior Center (Board Vice President); and Fair Housing Center of Southwest Michigan (Board Member). Attorney Parker serves as the Board Vice President for Charlie’s P.L.A.C.E. Her passion for community and advocacy is clearly reflected in the work that she does on a daily basis.